While working as an electronics technician at the Oceanic Division of Westinghouse in Annapolis, Maryland, in the 1980s, I received a vintage 1941 Crosley model 03CB console style radio for Christmas from Melanie. It was in poor condition, having spent the previous few decades sitting in a barn on the Eastern Shore of Maryland. 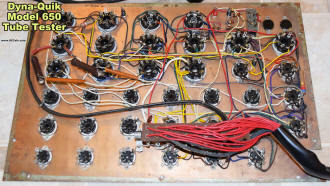 Due to the era of manufacture, vacuum tubes rather than transistors provided all the necessary amplification. One of the engineers I worked for at Westinghouse (Mr. Jim Wilson, engineer extraordinaire) was a Ham radio operator and had been from boyhood in Pittsburgh, Pennsylvania. 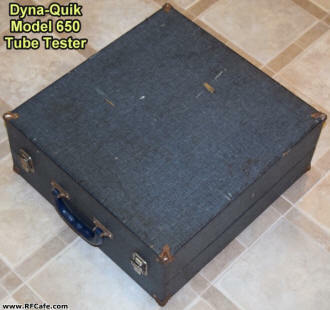 After learning of my Crosley, he gave me his B&K Dyna-Quik Model 650 tube tester for use in restoring the radio. 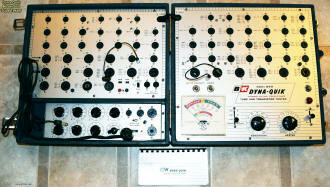 The Model 650 was a rather high-end portable tube tester that was capable of analyzing hundreds of tube types. Many dials and switches are used to set up heater filament voltage, plate and grid voltages, and input signals according to an included reference booklet. Surprisingly, not until very recently did I open 'er up to photograph the innerds[sic]. As you can see by the images here, there is quite a lot going on inside. 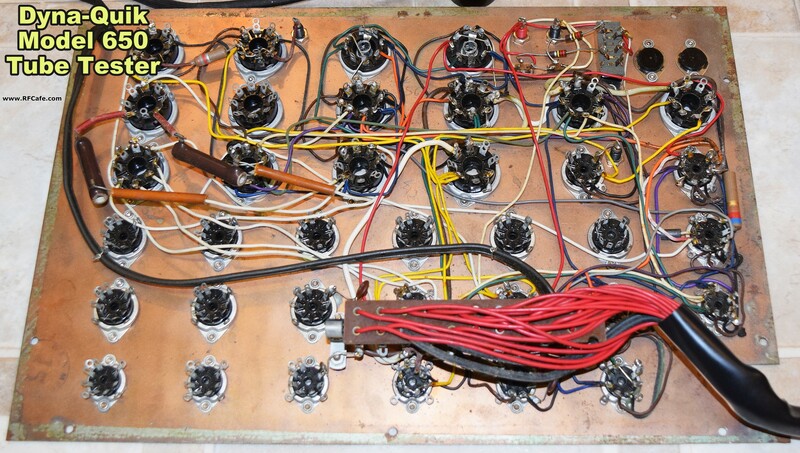 All that point-to-point wiring was very time consuming during production, and error prone to boot. I was surprised to find that 17 of the sockets (out of 73 total) were not wired at all! 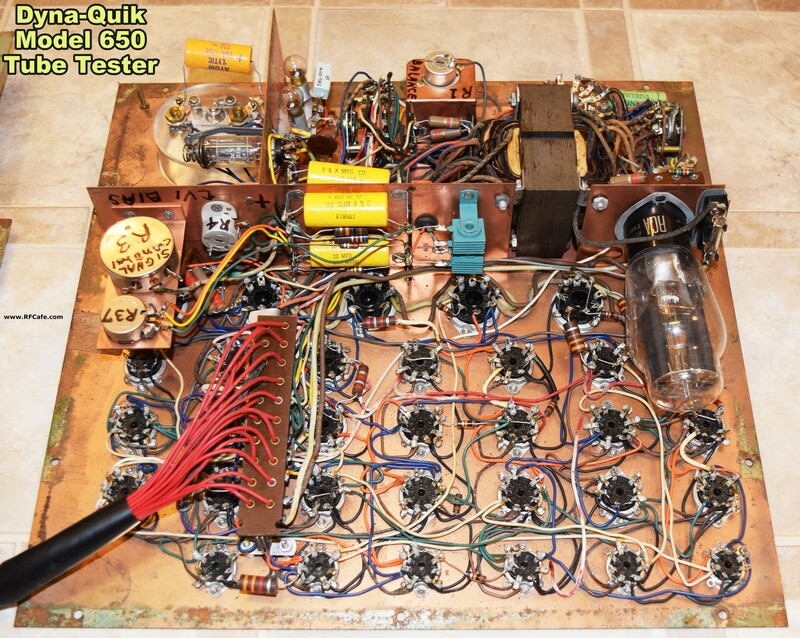 This tester was manufactured in 1961 and actually has a socket for testing transistors and solid state diodes. There are two active components in the circuitry - an RCA 83 mercury vapor rectifier tube and a 6AV6 double-diode triode tube. Those two light blue components are selenium rectifiers. 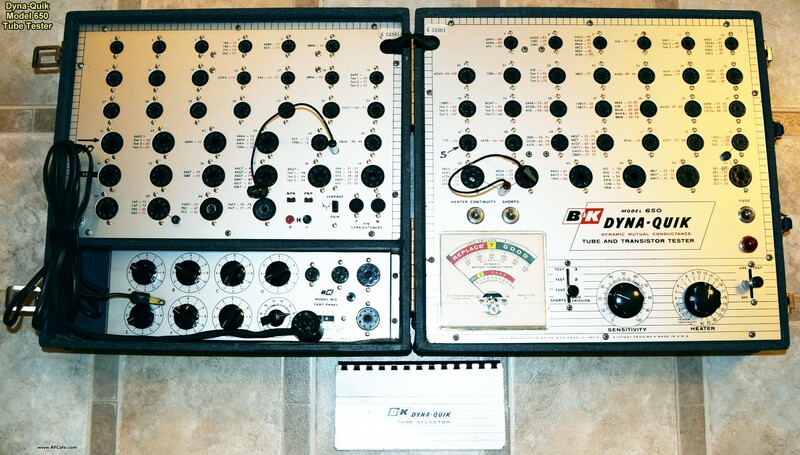 I just ordered a user's manual and schematic of the B&K Dyna-Quik Model 650 Tube Tester from a guy on eBay who sells high quality copies of vintage manuals (copyrights have long since expired). I'll scan and post it once it arrives.